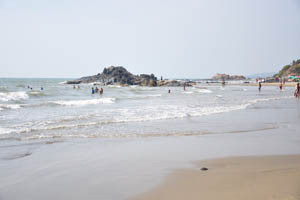 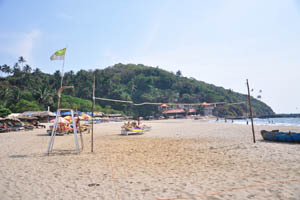 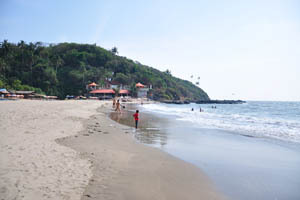 Ozran Beach, more commonly known as Little Vagator Beach. 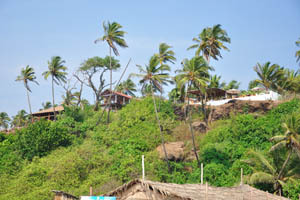 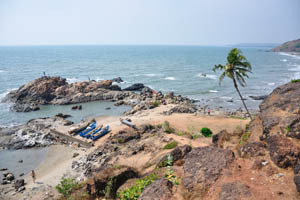 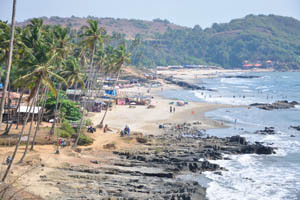 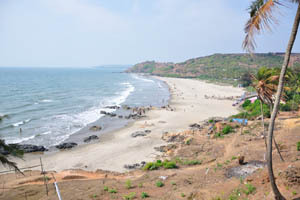 Little Vagator Beach, view from the north to the south. 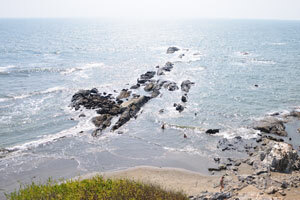 These stones divide Little Vagator Beach and Big Vagator. 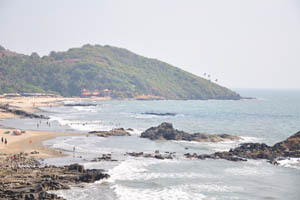 Southern part of the Big Vagator. 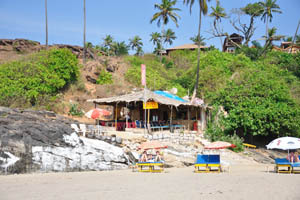 Little Vagator: Fish Tail bar and restaurant. 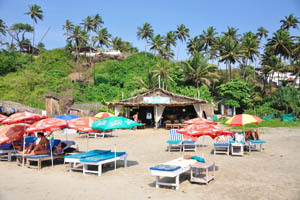 Little Vagator: Kumar's bar and restaurant (Happy Hour cocktail). 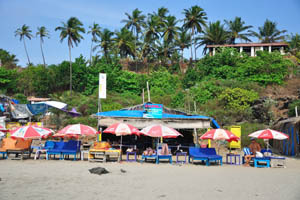 Little Vagator: Sharmila, juice bar & restaurant. 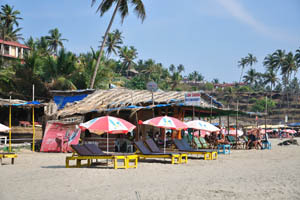 Little Vagator: Boom Shankar bar and restaurant. 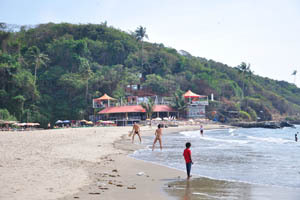 People swim in the water. 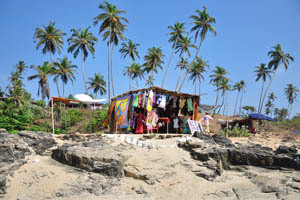 Little Vagator: Small clothes shop. 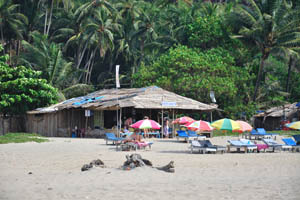 Little Vagator: Nehal Beach Shack. 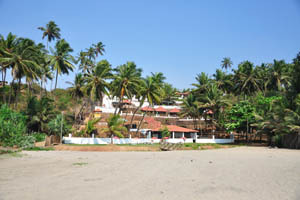 Little Vagator: Ozran Heights Beach Resort. 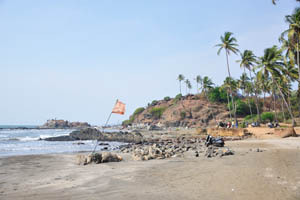 Little Vagator: Beach at the sunny noon. 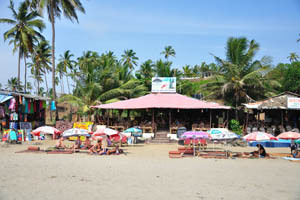 Little Vagator: Sunshine bar & restaurant. 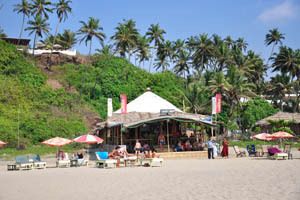 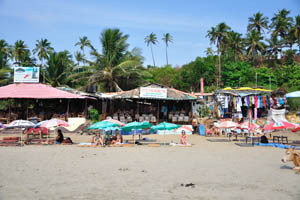 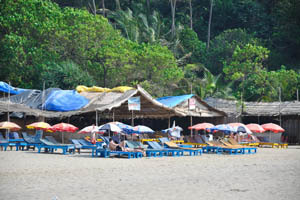 Little Vagator: Om Shanti Om Beach Shack and Kumar restaurant. 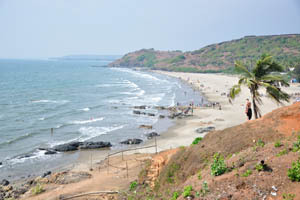 Little Vagator: Cliff of the beach. 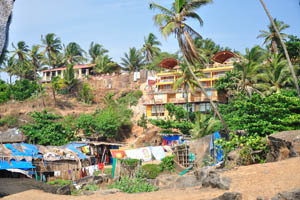 Little Vagator: Big hotel and small shacks. 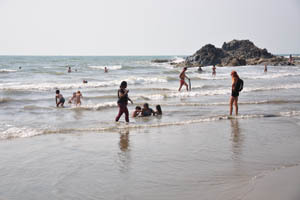 Little Vagator: People are relaxing in the water. 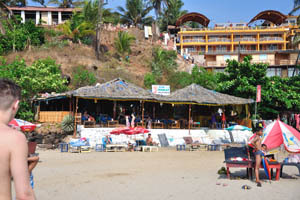 Boom Shankar bar and restaurant. 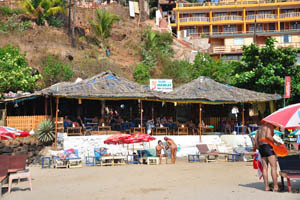 Little Vagator: Om Shiva restaurant. 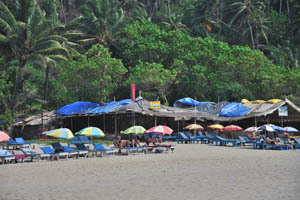 Little Vagator: Red flag on the beach.